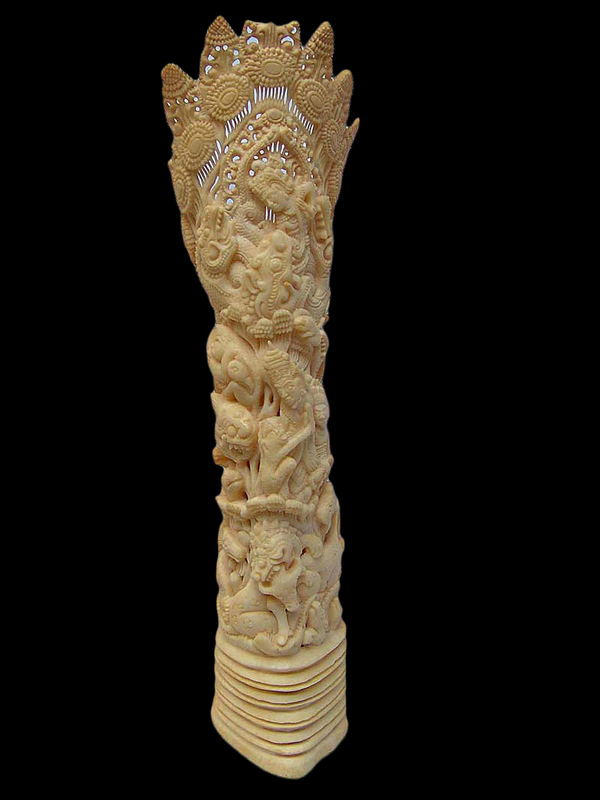 Magnificent bone carving. Many motivs are depicted on this bone carving, like animals, demons, floral patterns. This art work was most likely done by a specialist in bone carvings. Pls click on each photo to see two larger images.